The album also features veteran musicians ; Michael Johansson on drums, Marcus Olsson on piano and organ and Michael Stenberg on background vocals. Zavala. 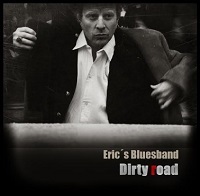 Eric's Bluesband has also played as warm up act to artists such as Joe Bonamassa, Dave Hole and Nationalteatern. From Town To Town". It was recorded in as much as 4 different studios: The A-Stream, Gigstudion, Daddy Longlegs and for the lead vocals they used Vokalkraft studio. The cd is in a real nice and tasteful cover, designed by bassplayer Tomas Klinta. All songs on this cd are own compositions. Allen Finney helped with the lyrics, because English is his language. Besides Eric on guitar, there is Henning Axelsson keyboards and percussion, the bassplayer Tomas Klinta, mentioned above and drummer Patrick Fackt. This solid core gets help from some studiomusicians on harmonica, sax,trombone, trumpet, backingvocals and some extra percussion. 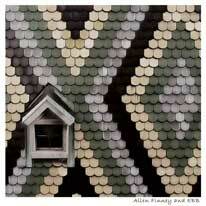 Steeped in the roots traditions of American folk, rock, country, blues, and jazz, Allen Finney emerges with unique expressions in his own musical style. Some compare his voice and vision to J.J. Cale's and Bob Dylan's. His previous CD Laying My Monkey Down, with Fat City Blues, was the first to feature only his original songs. Now he returns with an all-acoustic set, Allen Finney and EBB, showcasing his more recent material. 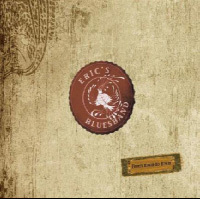 Eric's Bluesband accompanies him unplugged with a fresh, immediate sound.